We've become a culture of quick showers rather than long, luxurious baths...but, for the times we do want to take a long soak, adding some scented and/or therapeutic salts to the water really makes the bath wonderful. 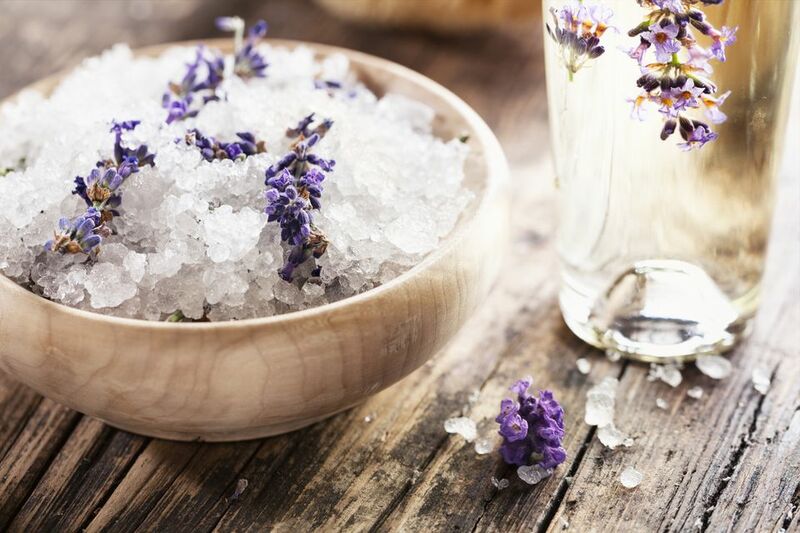 These bath salts are super easy to make, and with some variations in scents and ingredients, you can customize a wide variety of spa-like creations. Here are some basic instructions and recipes to get you started. Basic instructions and ingredients never fail. Build on them to customize your own marvelous bath. Have a stuffy nose? The essential oils in this recipe are known for their cold-symptom-helping qualities. Cleopatra and other sophisticated ladies have bathed in milk for centuries. This simple recipe is very flexible and can be tailored to your own royal desires. Don't neglect your tootsies! These herbs can be added to your basic salts as a wonderful treat for tired, aching feet.